If you’ve seen our Facebook page recently, you might have noticed that EPTAG has launched a new campaign called Home To Stay. We’re calling on the Scottish Government to abolish the short assured tenancy, which forces thousands of households to live under constant threat of eviction. Private tenants and supporters! Our next meeting is to plan our new campaign to get tenants better security of tenure, and we need your help to make it a success! EPTAG attended the Edinburgh Tenants Federation protest against fuel poverty on February 15th. Around fifty people were there, including lots of private tenants. There was a samba band, ‘Rhythms of Resistance‘ which gave the protest a great atmosphere. 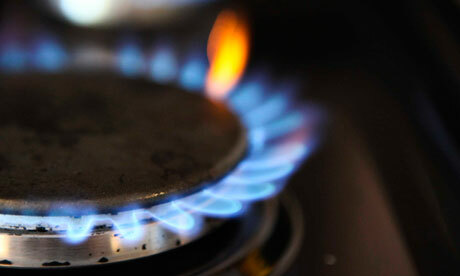 2000 Scots die every year from fuel poverty, largely older people and low income people. Private tenants are the most likely to be in ‘extreme fuel poverty’, spending more than 20% of their income on electricity and gas. So it is important to raise awareness of this important issue. Has the ban on letting agent fees really pushed up rent? Last week EPTAG received a request for someone to speak to a journalist about the rising costs of renting. I suspect they wanted us to tell them that rent is increasing, which is a hardship for our members. I gave them a quote, which you can read in the article here. Rip-off letting agency shut down for the day by protest! On October 2nd, protesters from Edinburgh Private Tenants’ Action Group shut down a letting agency which is still demanding illegal fees from its tenants, despite the Scottish Government confirming that charging such fees is a crime. A dozen EPTAG ‘sheriffs’ arrived at the offices of the Edinburgh Spaces letting agency to investigate reports of a crime: Edinburgh Spaces have been forcing tenants to pay a £500 “check-out fee”, and between £60 and £120 of illegal fees per tenant upon starting a tenancy. Please join us for our first AGM! Fed up with rising rents, dodgy landlords, and repairs not getting done? This year EPTAG has had many victories, and we hope to have a year of many more – but we need your support. Help us to stand up for tenants rights, by coming along to our AGM, and having your say on the direction of EPTAG in the coming year!